When Arnold Schwarzenegger prepared for the Mr. Olympia contest in the early 1970’s, his workouts were legendary for their incredible intensity. It was rumored that Arnold would need to train with at least three different training partners at separate workouts because no mere mortal could keep up with the Champ each training session, week in and week out. Arnold would train six days a week, twice a day when preparing for the Mr. Olympia contest. Furthermore, he would also train each muscle group three times a week, often doing as many as 20-30 sets for each body part. Because Arnold was the undisputed King of Bodybuilding during those days, everyone who lifted weights and wanted to be a bodybuilder would follow the same workouts. Everyone trained six days a week, training each muscle group at least twice a week. A typical workout split would be Monday and Thursday, chest and back, Tuesday and Friday, legs, and Wednesday and Saturday, shoulders and arms. Of course, Arnold and many of his contemporaries training at the Gold’s Gym in Venice, California had some advantages that your average weight trainer did not share. First of all, he was extremely genetically gifted for building muscle. Second, he was using performance enhancing drugs (which were legal at the time with a doctor’s prescription) during his contest preparation. As a result, the average aspiring bodybuilder was often frustrated in their lack of muscular gains as compared to the Bodybuilding Gods that they admired in the pages of the muscle magazines each month. 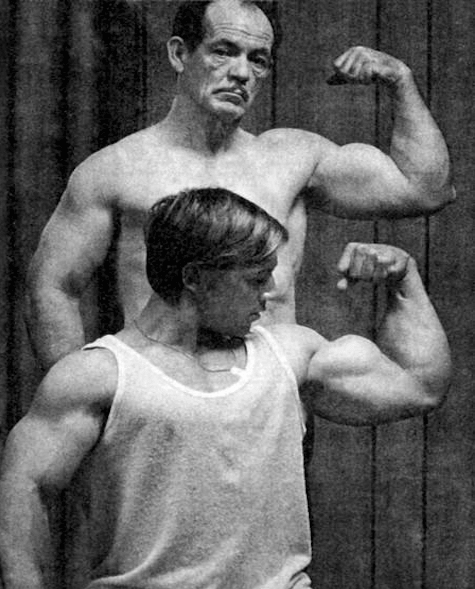 Arnold’s Schwarzenegger’s workout routine was in stark contrast to the preaching of Nautilus founder Arthur Jones. Jones advocated brief, intense workouts with a short duration period of only 30 minutes each. Instead of splitting up the body into separate muscle groups and training every day as the bodybuilders in Gold’s Gym did, Jones had his students only performing minimal sets for each muscle group as opposed to the high volume (20-30 sets) being practiced by most of the bodybuilding world at the time. 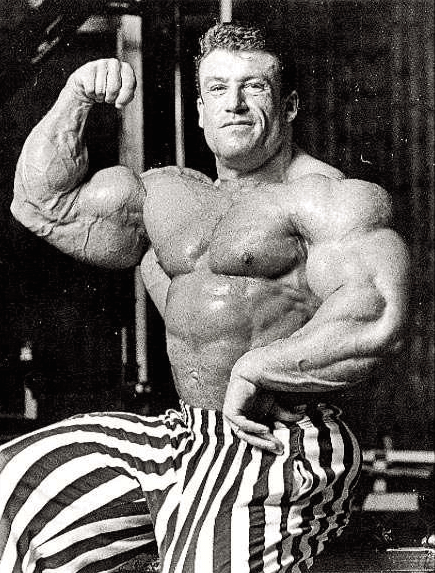 Jones bragged to the world that bodybuilding prodigy Casey Viator was a strict proponent of the Nautilus system and used brief but intense workouts to build his magnificent physique. 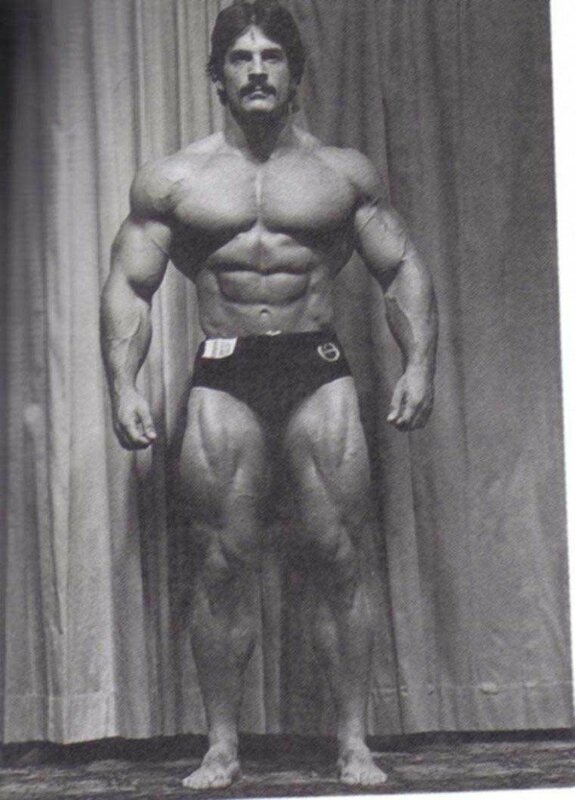 Casey won the coveted AAU Mr. America title in 1971 at the young age of 19 years old. Never before or since had a bodybuilder won such a prestigious title so young. Five years later, rising bodybuilding superstar Mike Mentzer followed a similar training philosophy when he won the IFBB Mr. America title in 1976. Mentzer shook things up in the bodybuilding world when he shared his training routine in a Muscle Builder Magazine interview after the win. He claimed that he used to train six days a week, using high sets for each muscle group, just like everyone else did. However, after becoming frustrated with his lack of progress, he decided to dramatically decrease the volume of his training, doing as little as 5 sets per body part and training only three days a week. High intensity training (HIT) was born. As a result of this change in his training program, Mentzer gained significant muscular size and went from a distant third place at the 1975 Mr. America contest to dominating the event only one year later and winning the overall title. How often do bodybuilders workout, some might ask? 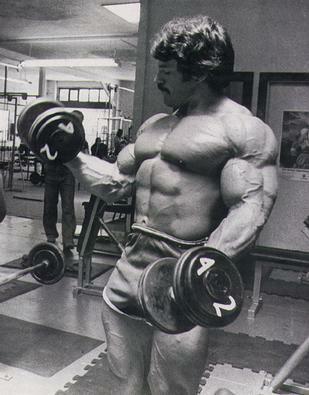 Mentzer explained that you can train long or hard but you can’t do both at the same time. He used the analogy of a runner. Just as you would never be able to sprint for a full mile, a bodybuilder who is performing 20-30 sets for each muscle group is not training really hard. He is simply pacing himself to get through the enormous amount of sets that he has to do each workout. If he was really training intensely, it would be impossible to do that many sets at that intensity level. It would be like sprinting all out for a full mile. 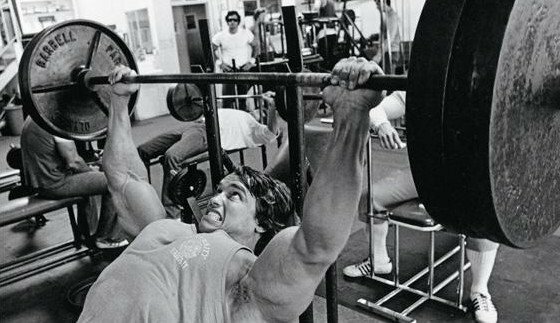 In the 1980’s and ’90’s, bodybuilders scaled back their training, taking into account the importance of recuperation. In the 1980’s, a popular training routine was 3 days on, 1 day off as opposed to training six days in a row. That extra day of rest allowed the body to recover and enhanced muscle growth more. When Dorian Yates won the Mr. Olympia contest in 1992, HIT made a comeback. 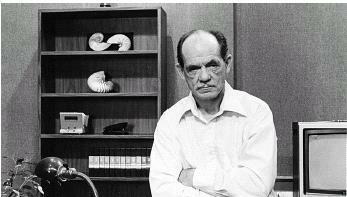 Dorian followed a training program very similar to the one advocated by Mentzer, only training four days a week with extreme intensity and low sets. As Dorian continued winning the Mr. Olympia contest and became one of the biggest bodybuilders of all time, more people started following his lead by cutting back the volume and training less and less. It was during this time period that most bodybuilders began training each muscle group only once per week. Today, bodybuilders and other aspiring physique athletes have reverted back somewhat to the training programs of the 1970’s. Perhaps due to the growing influence of social media, in which people like to post what they are doing on a daily basis, training frequency has increased. It’s not uncommon today to see people training every day, often seven days in a row. Phrases like “killing it”, “never give up” and “don’t quit” are hash tagged in social media posts as aspiring athletes brag how committed they are to training by showing up at the gym every day, sometimes twice in the same day. Slow to respond muscle groups are often hit three times a week in order to bring them up to par. The “more is better” approach is back with a vengeance! WHICH TRAINING PHILOSOPHY IS BEST? After the pendulum has swung back and forth so many times in regards to Training Duration and Frequency, the question looms: which training philosophy is the best? Much of it depends on many factors including what is your objective for training (fitness, muscle mass, definition) and your individual make-up (age, recovery ability, genetic and metabolic attributes). Younger bodybuilders tend to recuperate much faster than older trainers. The tendons and muscles recover much faster at a young age so training each muscle group twice a week would be more conducive to these bodybuilders compared to those in the middle age category. Older trainers find it more difficult on the joints and tendons to subject them to twice weekly workouts for the same muscles. Another factor is training intensity. Training with heavy weights that only allows for 6-8 repetitions will subject the body to a different type of stress compared to training with less resistance for more reps and volume. The heavier training will tear down more muscle tissue and put a stress on the joints and nervous system. It would not be advisable to train every day when training this intensely. However, if your goal is more fitness oriented training instead of building muscle, you will be using less resistance and will not be subjecting the nervous system to as much stress. As a result, you would be able to train more frequently with less days off. The type of workouts you perform is also plays a significant role. Workouts that are designed to burn body fat, increase endurance and raise the overall fitness level will be performed faster with reduced rest periods. The emphasis is on training hard by training fast, thus increasing the endurance capability as well as muscle development. Training to get big and strong, however, will require the opposite approach. More resistance with less repetitions requires an all-out training approach, similar to a sprinter compared to a long distance runner. Muscular development is achieved by pushing the muscles to handle greater loads with maximal effort. This also increases the stress on the nervous system, necessitating the need for more rest and recovery. Keep these factors in mind when designing a training program for yourself. Look at your training experience, intensity and goals as well as your personal characteristics (age, metabolism, recovery ability). Following the routine of your favorite bodybuilder or internet sensation may or may not be the best path for you to follow. Do what is best for you to reach your goals and success will be yours!